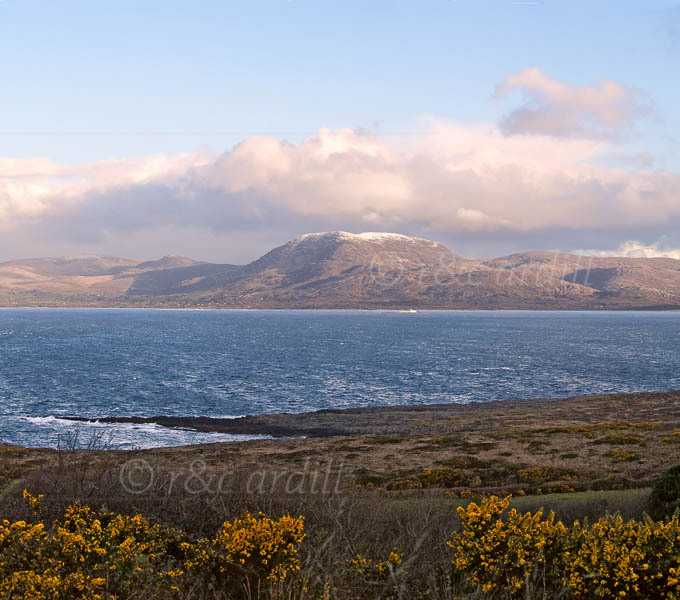 Photo of: West of Ireland: West Cork: Bantry Bay. View of Bantry Bay looking towards the Beara Pensinsula. The mountain with a scattering of snow on it's summit is Hungry Hill. The photograph was taken from the Sheep's Head Peninsula, on a narrow road called the Goat's Path.